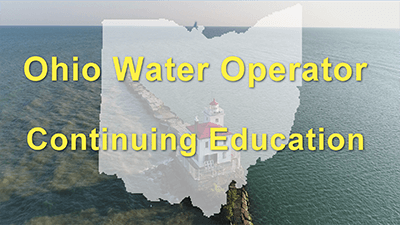 Water operators in the state of Ohio, we have the continuing education courses you need. The following courses deliver high-quality training that is designed not only to satisfy requirements for renewal of a license but also to give water operators the knowledge needed to be successful. What are the CE requirements for Ohio water operators? At least 50% of the contact hours for renewals of certificates must be directly related to Operations and Maintenance. These courses were designed to meet this requirement. Save on our 24 Hour CE Package. Includes: Surface Water (3 Hrs), Storage Tank Facilities (2 Hrs), Source Water (2.5 Hrs), Coagulation (3 Hrs), Sedimentation (3 Hrs), Basic Electrical Concepts (2 Hrs), Disinfection (2.5 Hrs), Corrosion (3 Hrs), Oxidation (2 Hrs) and Membrane Processes (2 Hrs). Save on our 12 Hour CE Package. Includes: Sedimentation (3 Hrs), Membrane Processes (2 Hrs), Corrosion Control (3 Hrs), Coagulation & Flocculation (2 Hrs) and Advanced Oxidation (2 Hrs). 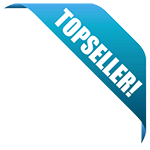 Save on our 8 Hour CE Package. Includes: Corrosion Control (3 Hrs), Membrane Processes (2 Hrs) and Sedimentation (3 Hrs). This course will fulfill 4.5 of your required hours for Ohio water operators. This course will fulfill 2.5 of your required hours for Ohio water operators. This course will fulfill 2 of your required hours for Ohio water operators.